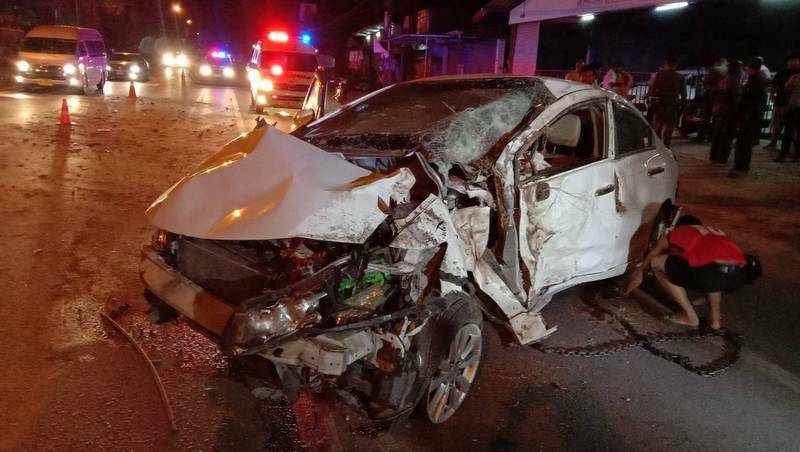 PHUKET: A THAI Airways staffer escaped serious injury after her car struck a tree on the central reservation on Thepkrasattri Rd in Muang Mai early this morning (Mar 9) and reportedly rolled three times before coming to a stop. 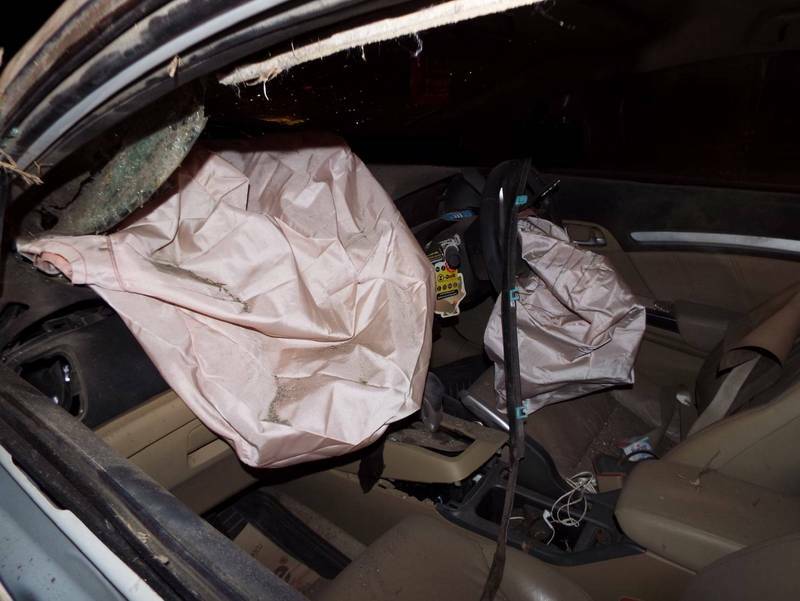 Capt Kraisorn Boonprasop of the Thalang Police was notified of the accident at 1:05am. 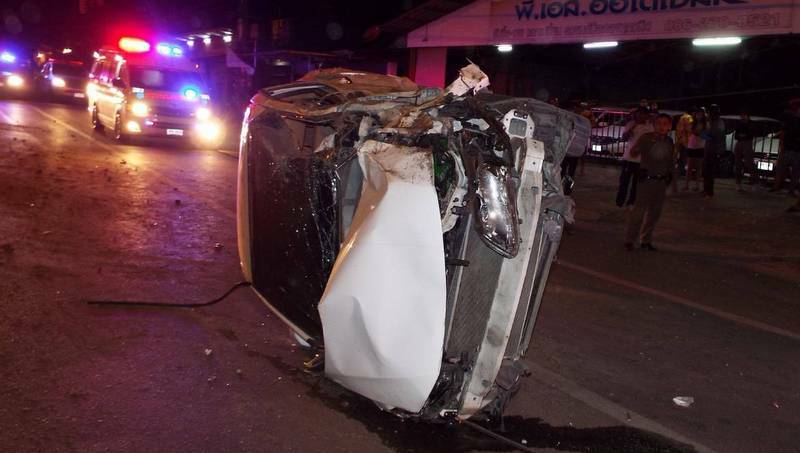 Officers arrived with Kusoldharm Foundation rescue workers to find the car, a Chiang Mai-registered white Honda City, heavily damaged resting on its side in the middle of the southbound lanes. Rescue workers assisted the driver, Thanatchaya Pirom, 31, from Chiang Mai out of the wreck. Miss Thanatchaya did not not suffer any serious injuries, rescue workers confirmed. There were no passengers in the car. 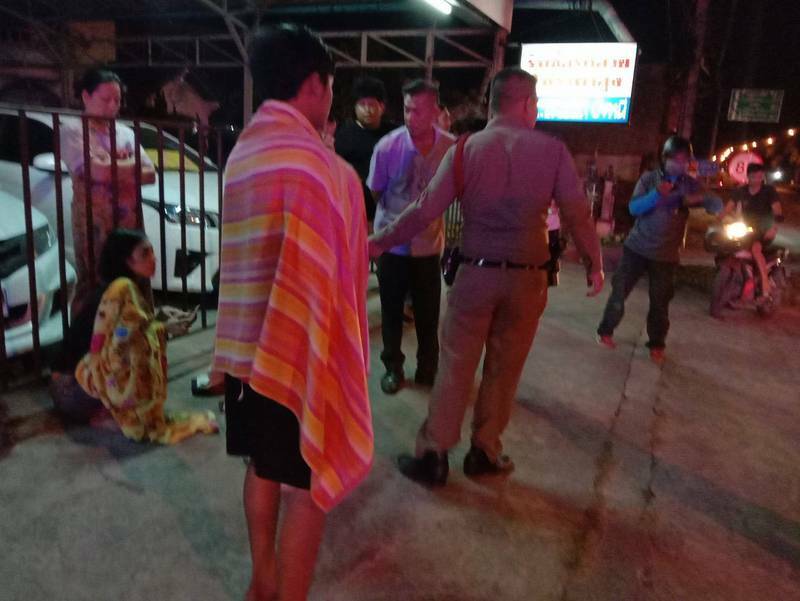 Miss Thanatchaya, who works as THAI Airways ground staff at Phuket International Airport, told police that she was driving from Nai Yang to Phuket Town when the accident happened. 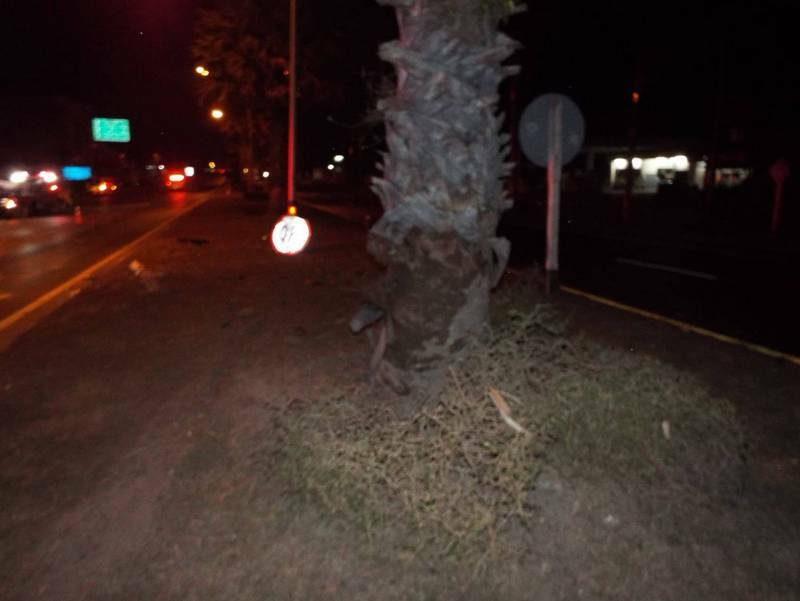 “She lost control and drove up onto the central reservation, then hit a palm tree and a sign,” Capt Kraisorn noted in his report. After questioning witnesses, it was reported that her car rolled three times before coming to rest on its side. 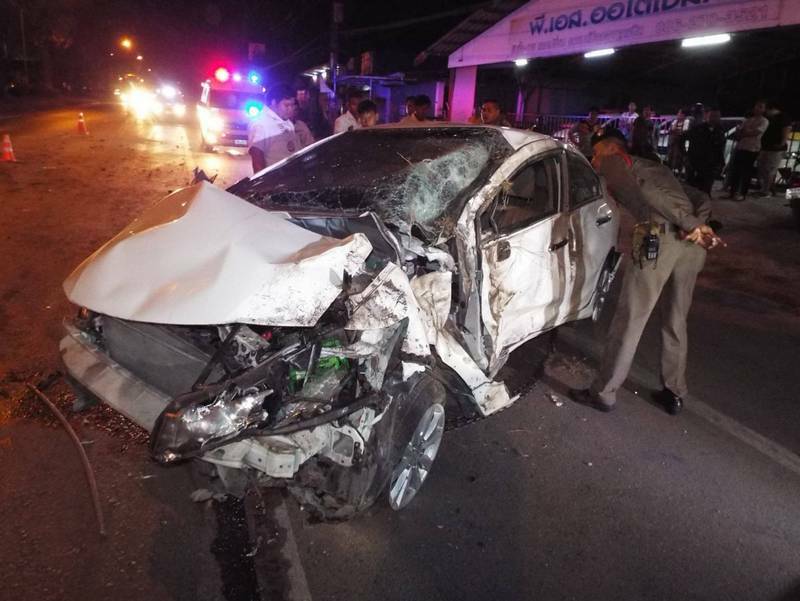 However, Capt has yet to confirm what caused Miss Thanatchaya to lose control of the her car. He has also yet to confirm whether Miss Thanatchaya was tested for alcohol. Capt Kraisorn did confirm that Miss Thanatchaya is facing a charge of reckless driving causing damage to government property. Hahaha, speeding not always brings you home fast. Wonder what her car insurance is going to decide. The road was not slippery. Any one can tell me how this lady 'lost control'? Rule nr 1: Never drive faster than you can think. And,.. while driving switch off your iPhone. I would guess that when the car finally came to rest, Khun Thanatchaya was still clutching her phone...mid text. It has been my observations that Thai women don't care what they're doing...walking, driving, shopping, working, riding motorbike, etc., they can never set their phone down and will talk or text any time...anywhere, with complete disregard for anyone else. Oh...Thai males too. A few weeks ago I witness the practical driving tests at the Phuket Transport Bureau circuit. Is a big laugh. They drive with 5 kmh a small internal parcourse, and pass. Get the driving license and there they go, into the real Phuket road traffic. Start learning real driving.